AVA Cosmetics Hydro Laser Moisturizing Micellar Gel 200ml. 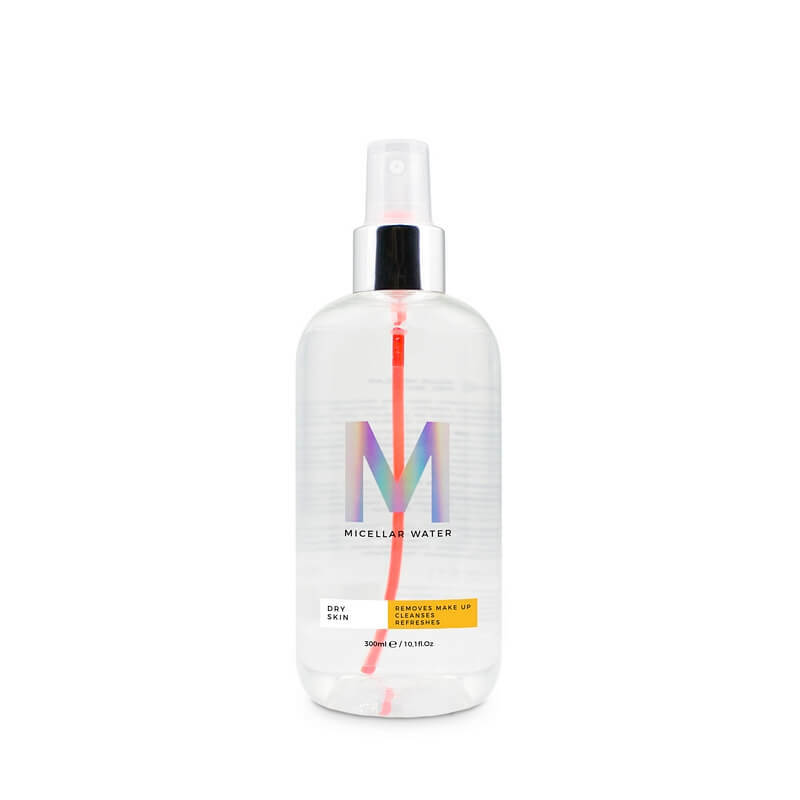 DermaSyis Aloë Vera Micellar 300ml. 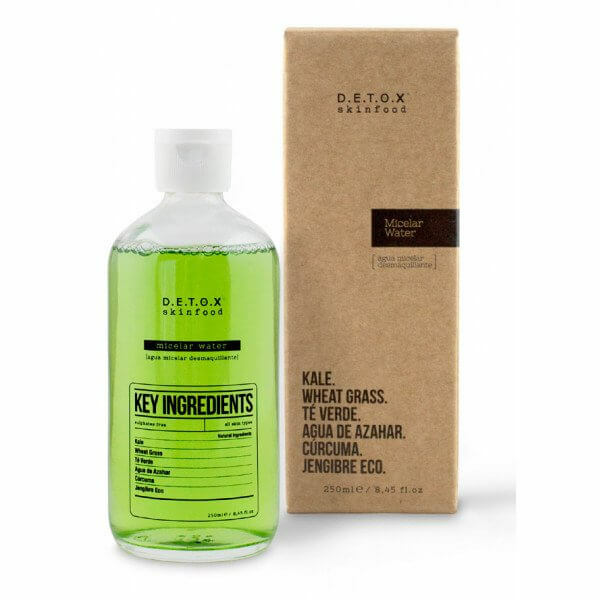 Detox Skinfood Micelar Water 250ml. 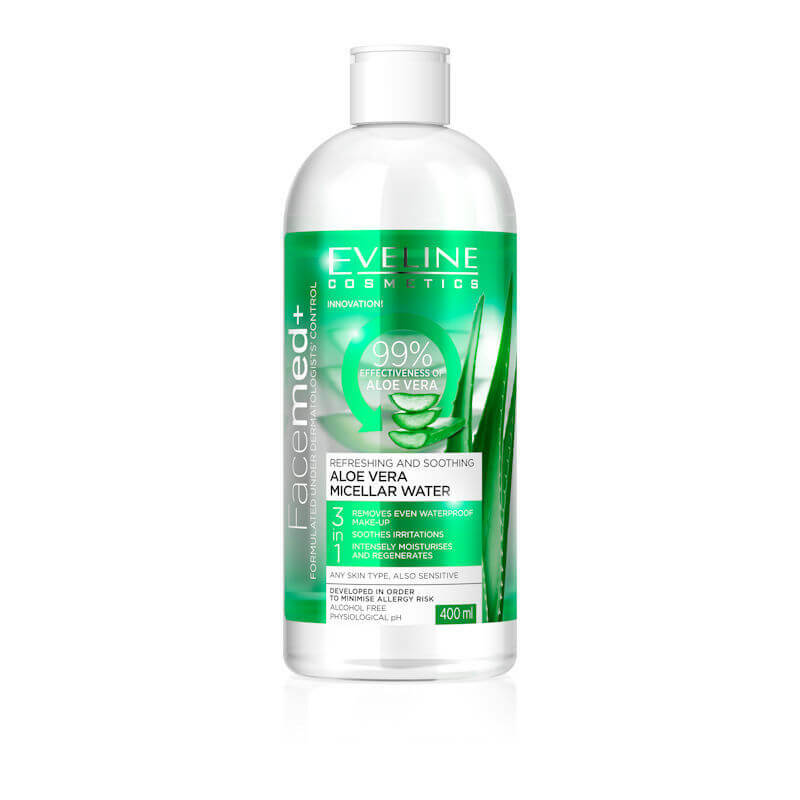 Eveline Cosmetics Facemed+ Aloe Vera Micellar Water 400ml. 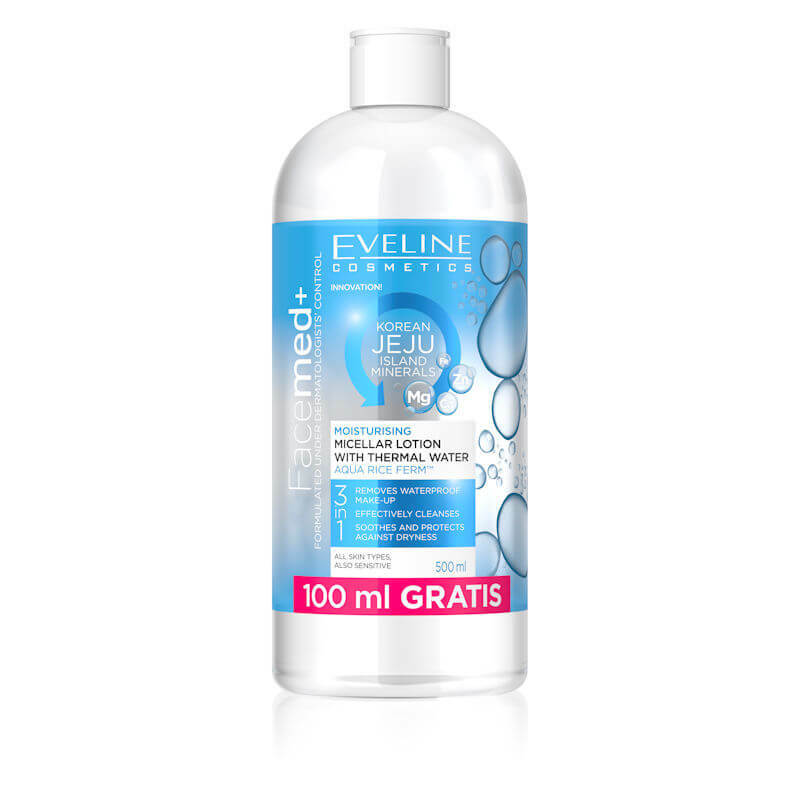 Eveline Cosmetics Facemed+ Hyalluronic Micellar Water 3 in 1 - 400ml. 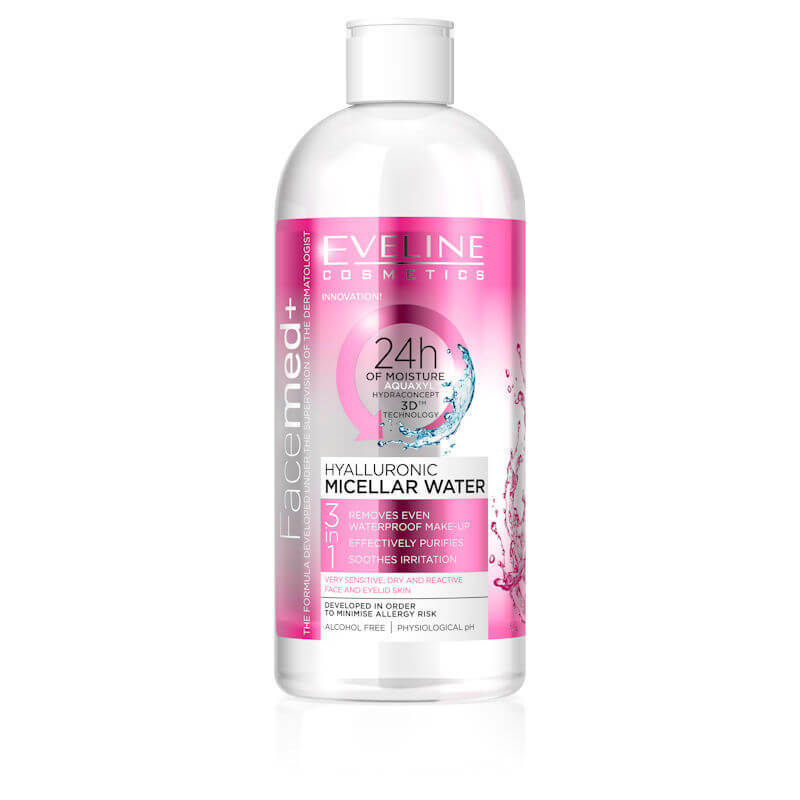 Eveline Cosmetics Facemed+ Hyaluronic Micellar Water Sensitive Skin 3 in 1 - 250ml. 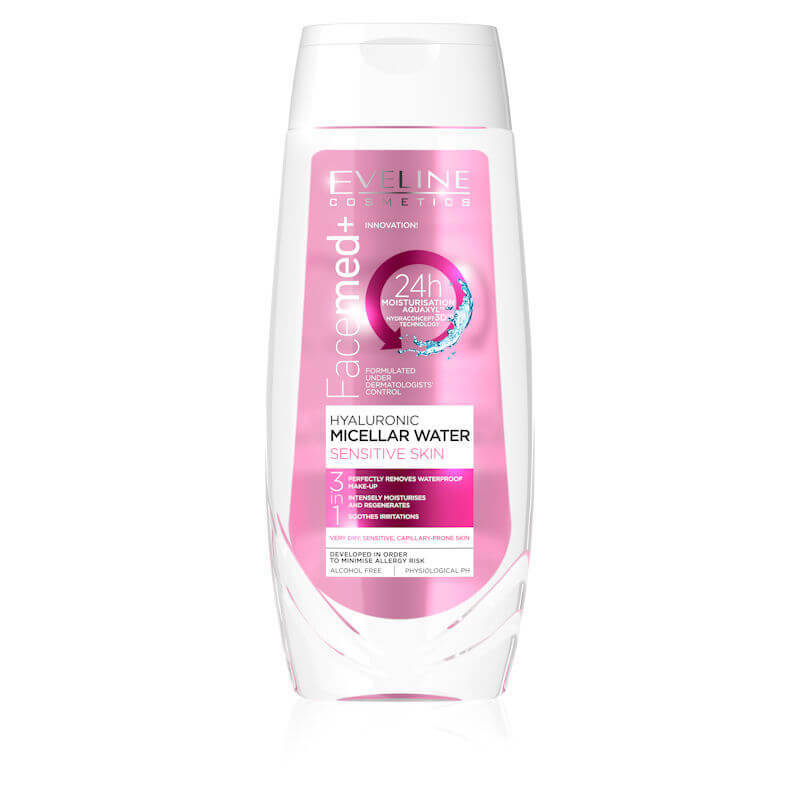 Eveline Cosmetics Facemed+ Moisturising Micellar Lotion With Thermal Water 500ml. 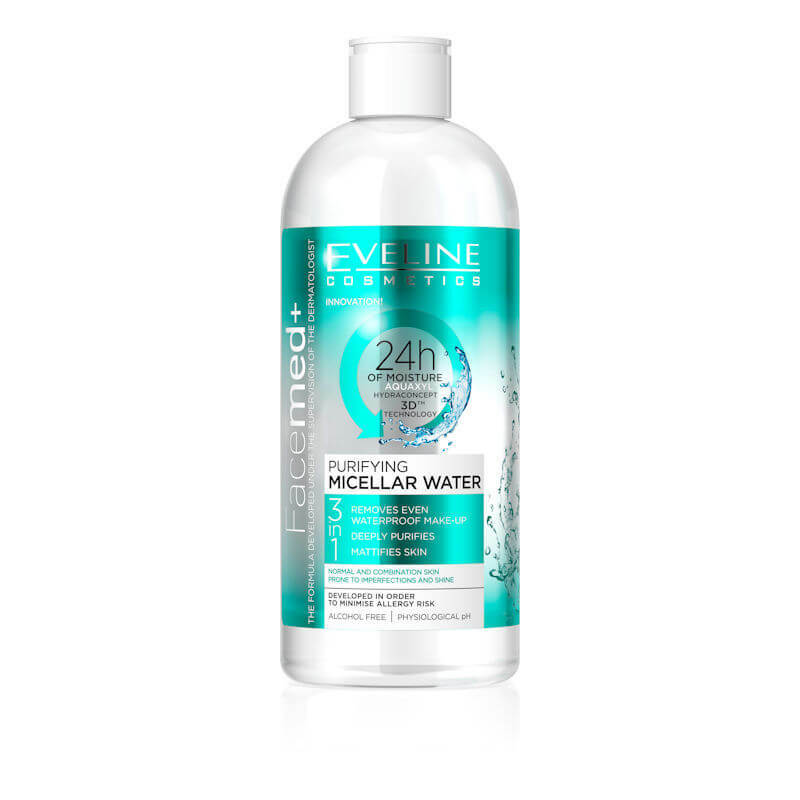 Eveline Cosmetics Facemed+ Purifying Micellar Water 3in1 - 400ml. 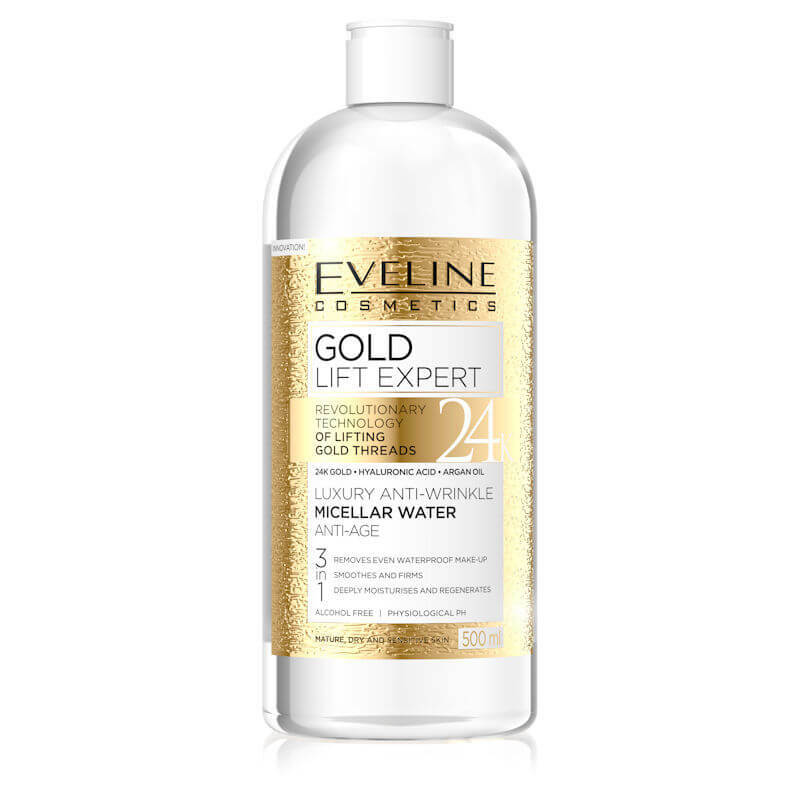 Eveline Cosmetics Gold Lift Expert Luxury Anti Wrinkle Micellar Water Anti Age 3in1 500ml. Fancy Handy Micellar Water Dry Skin 300ml.